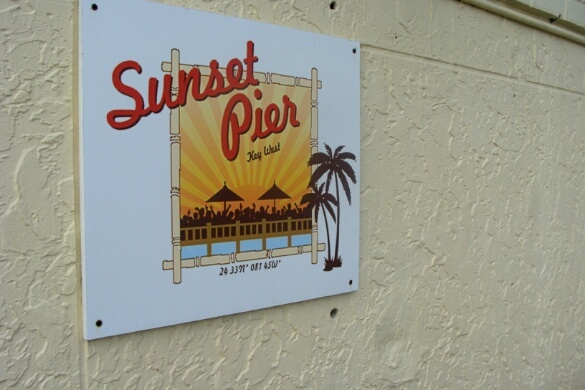 From this restaurant you can see Mallory Square, and the popular nightly sunsets in Key West. 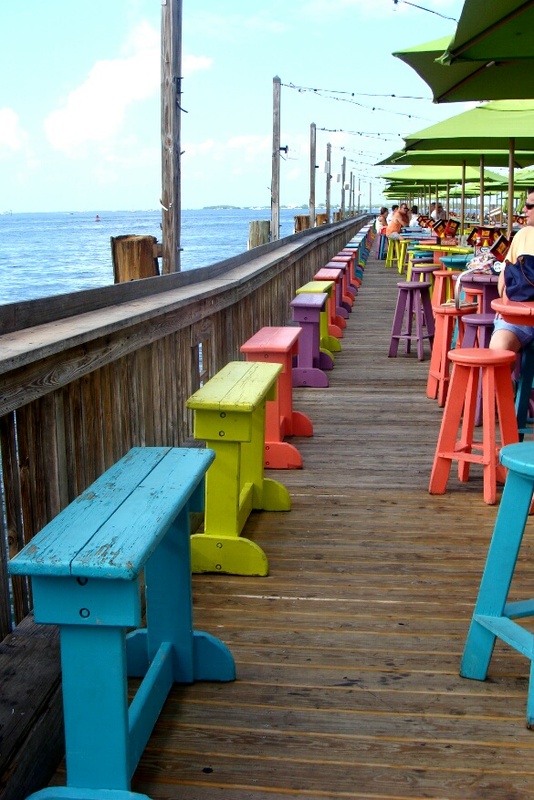 Food is standard burgers and sandwiches, but the view is great. 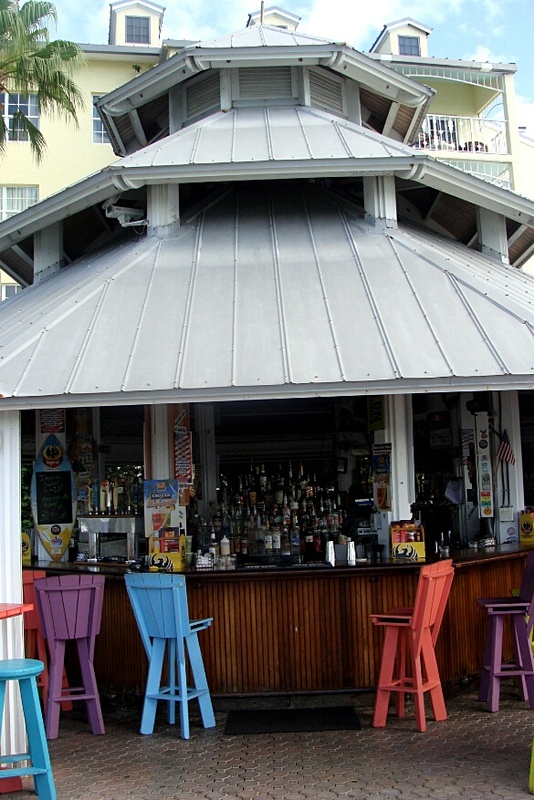 You can also eat here, and walk over to Mallory Square in about one minute. 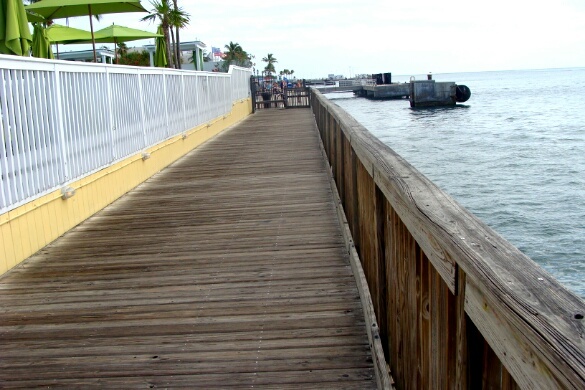 The above photo is the walk from the restaurant to Mallory Square.